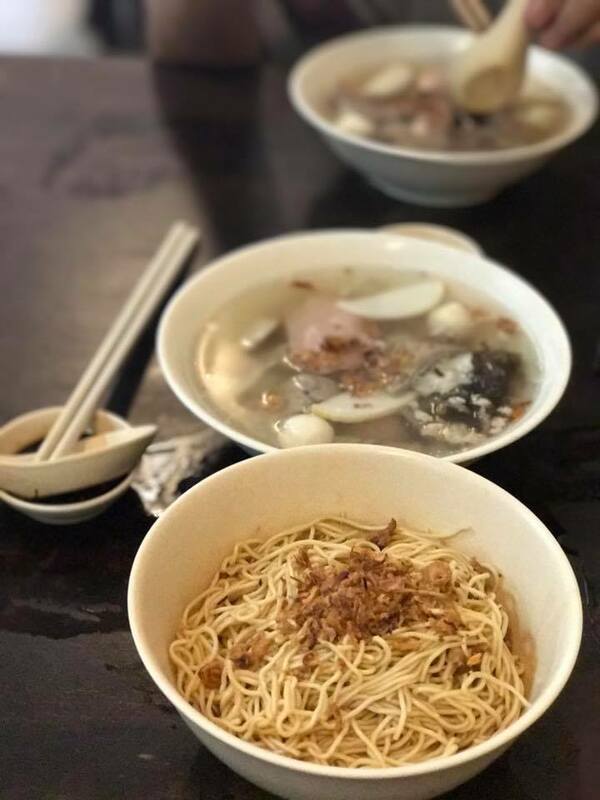 No makan session in Kuching is complete without Sarawak Laksa, and this legendary stall is one of the crowd-favourite picks for an authentic bowlful. Given that the laksa here is pork-free, the stall attracts an even larger crowd. Head there early and be prepared for long queues! 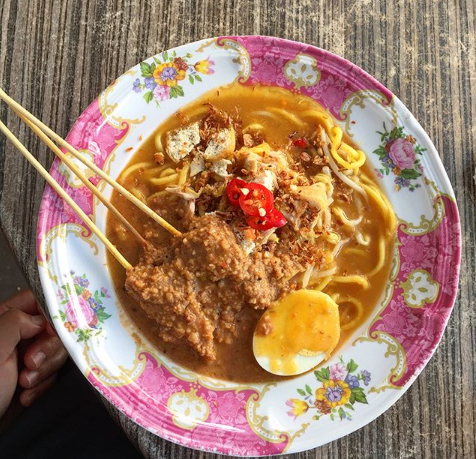 The special Mee Jawa here is not to be missed too. 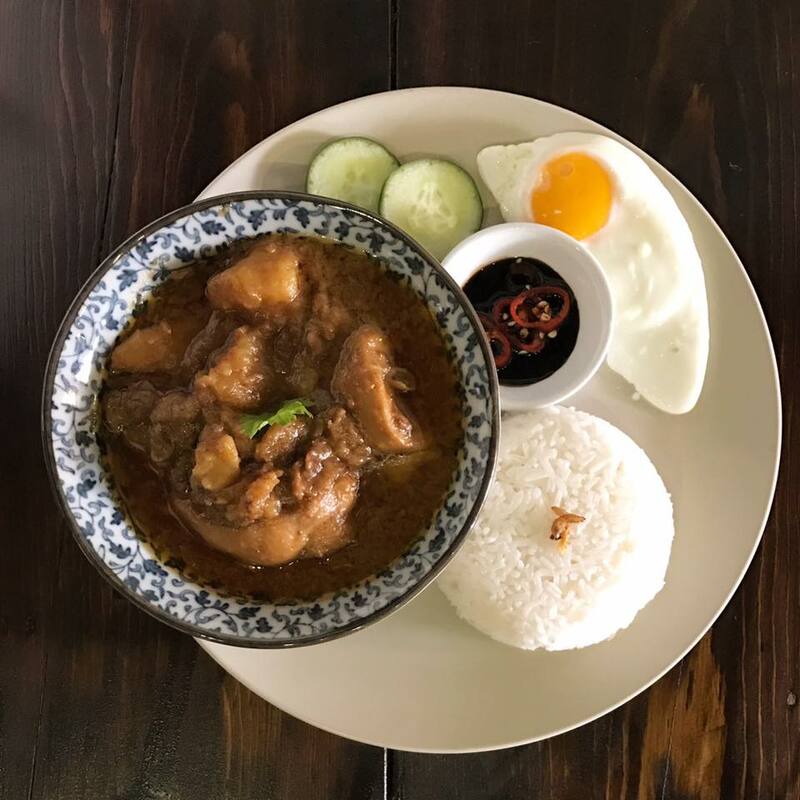 The springy noodles flooded with thick curry gravy are given a little twist with a special topping: satay with kuah kacang! Equally as popular for breakfast, these delicious noodles are the ultimate comfort food. 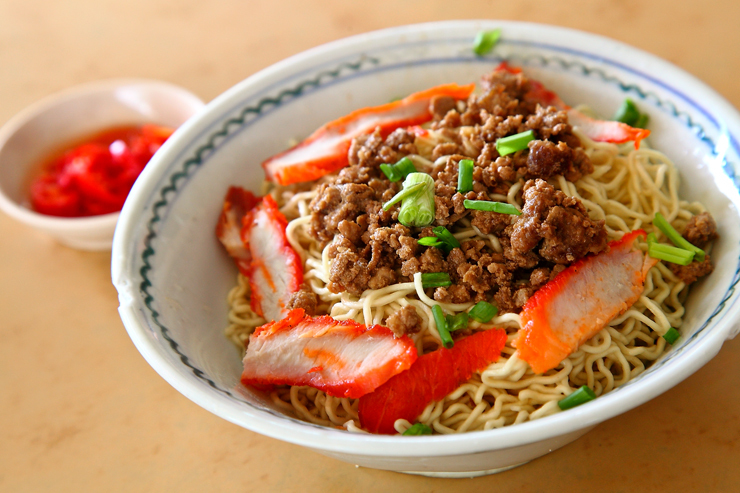 Topped with minced meat and char siew, Kolo Mee needs to be on your makan list if you're looking for something simple yet satisfying. Sin Lian Shin is non-halal. 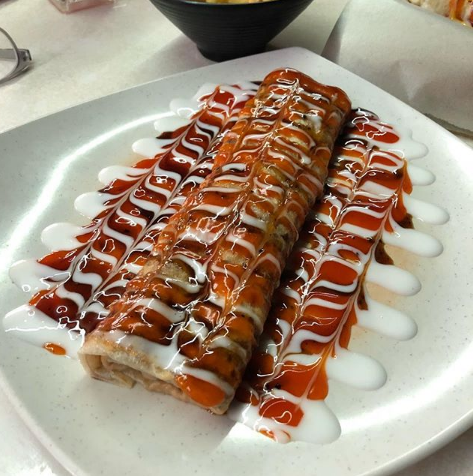 Besides their famous halal Sarawak Laksa, their signature Beef Prata Roll is a crowd-favourite hit here too! 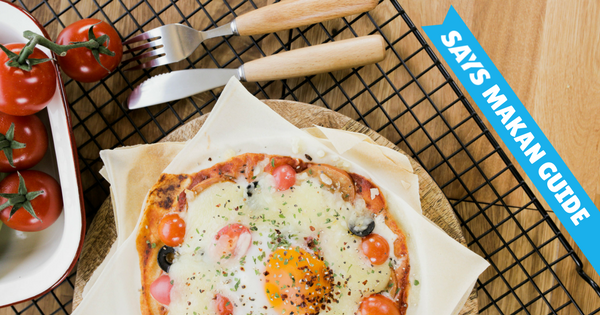 Giving a twist on the traditional murtabak, the fluffy prata bread is filled with chunks of beef and drizzled with chili sauce, black pepper sauce, and mayo. Kopi O Corner is halal. 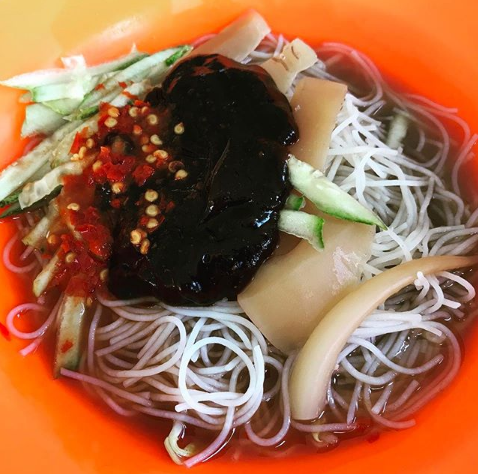 For a fun twist on a traditional favourite, check out The Kong Piah Cheese here. 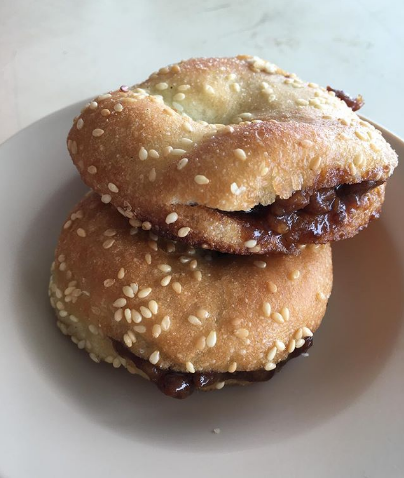 The fluffy sesame-topped buns are stuffed with minced pork and some cheese for extra flavour. Too good! Song Kheng Hai Market is non-halal. 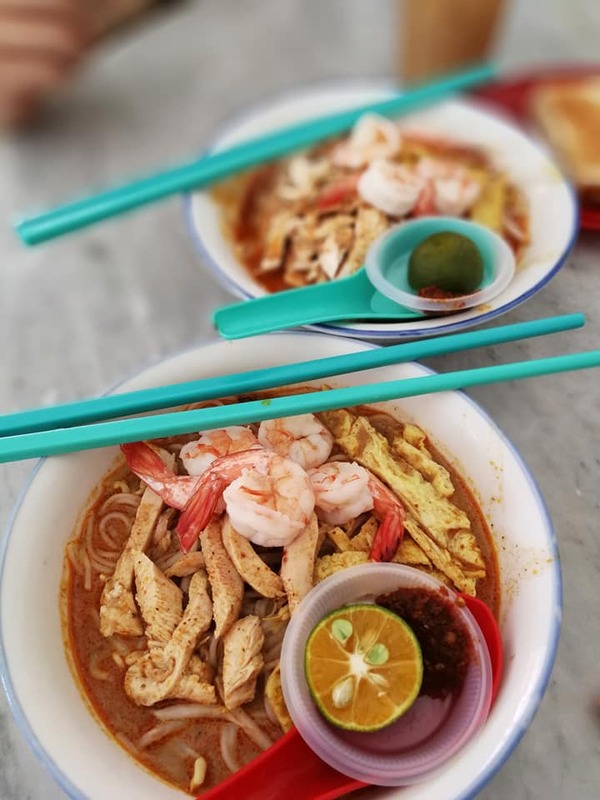 Famously known as Anthony Bourdain's favourite Sarawak Laksa, here's another place you can try for some good, authentic laksa. Loved for their flavour-packed creamy broth, the laksa comes topped with chicken, prawns, eggs and sambal for a filling, soul-soothing meal. Rock Road Seafood is pork-free. Although a little far from town, this seafood spot is worth the drive for their fresh selections and affordable prices. The clam soup here is a must-try! 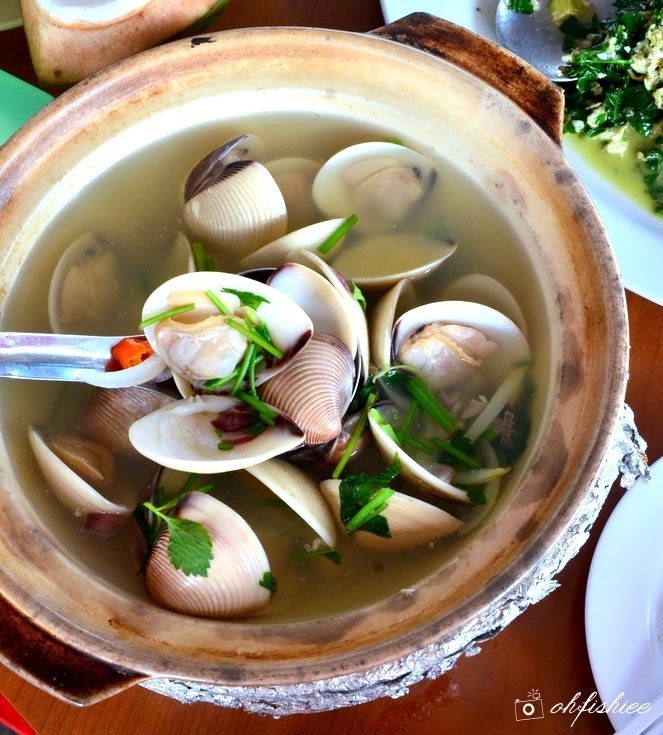 The fresh, sweet clams are served in a claypot filled with a light and fragrant broth. 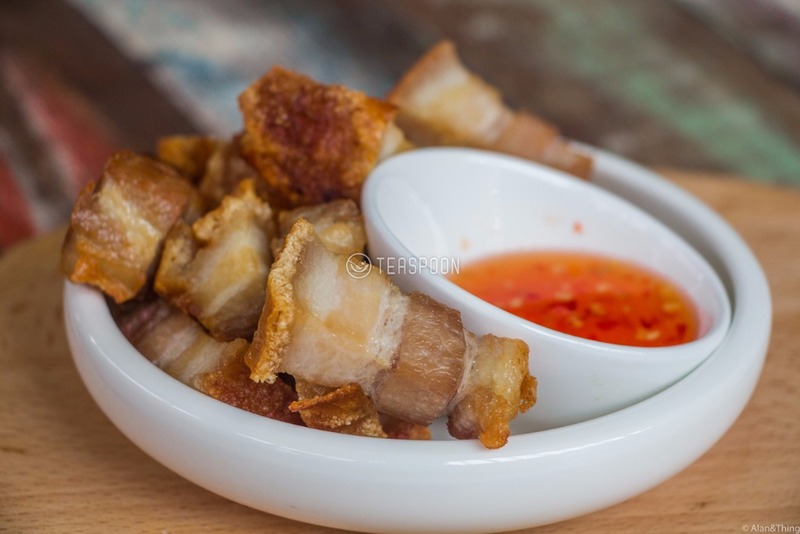 The Crab Heaven is pork-free. Granary Kitchen + Bar is non-halal. 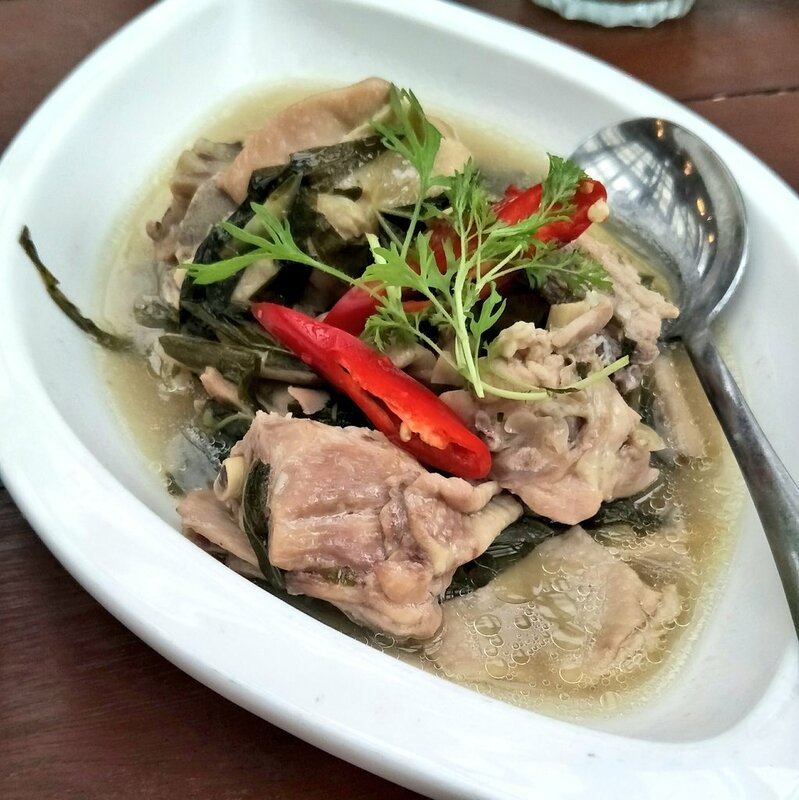 In the mood for some spicy Nyonya flavours? 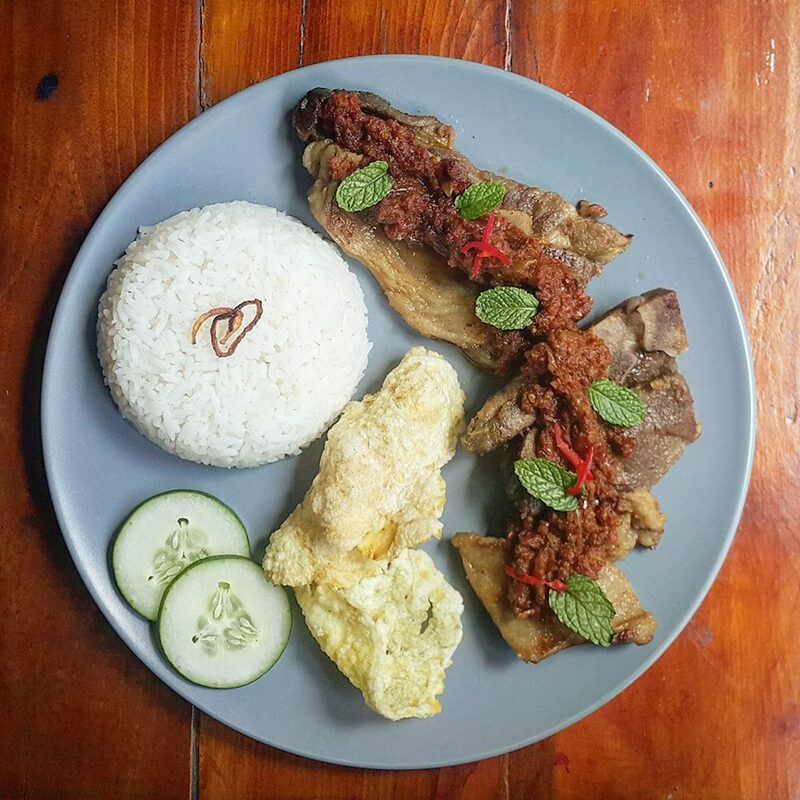 This hearty rice dish comes with a side of pan-fried lamb chops topped with Nyonya dried shrimp sambal. 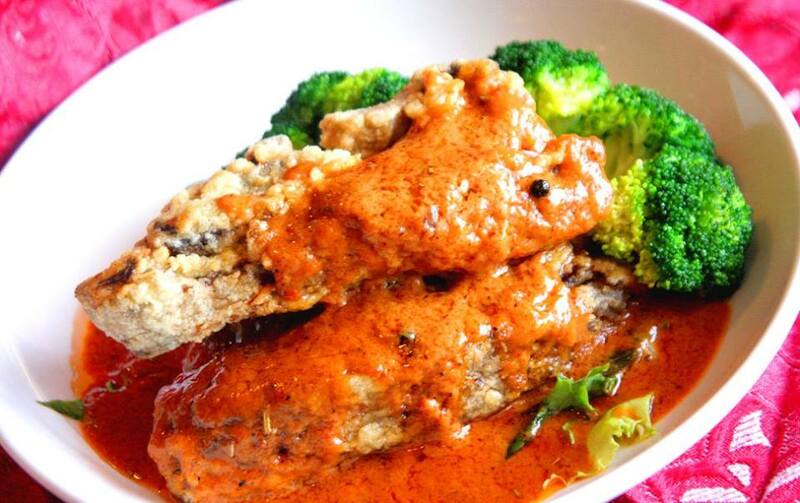 Pedas food fans will love this one! You've probably never had ice cream quite like this. 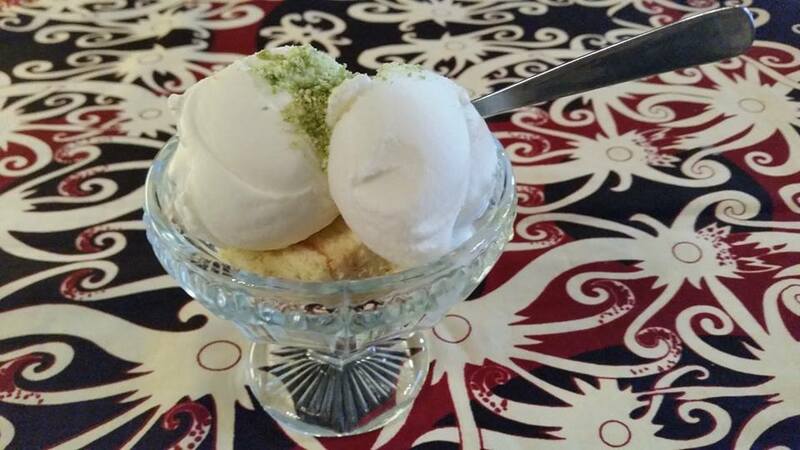 This next-level ice cream comes with the option of a drizzle of tuak for a truly unique boozy flavour! 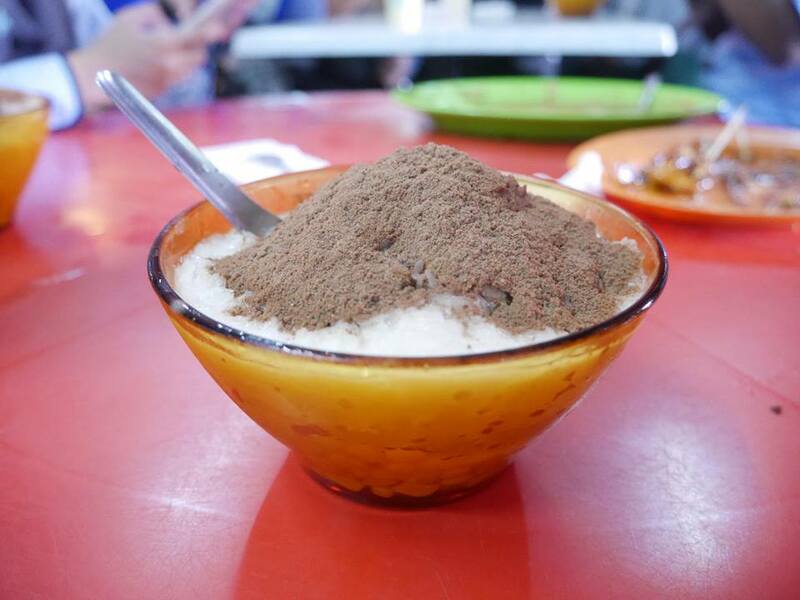 Known for their sweet icy treats, check out Swee Kang for some really good ais kacang. The Milo ABC is a must-try, loaded with Milo, sweet corn and lychee. Swee Kang Ais Kacang is pork-free. 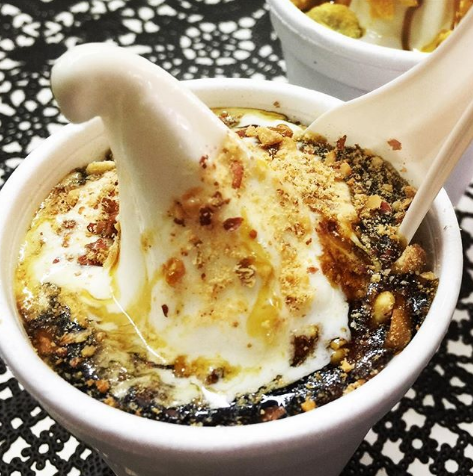 This Sarawakian-style soft serve is a sweet mix of vanilla ice cream with a generous drizzle of the local gula apong. 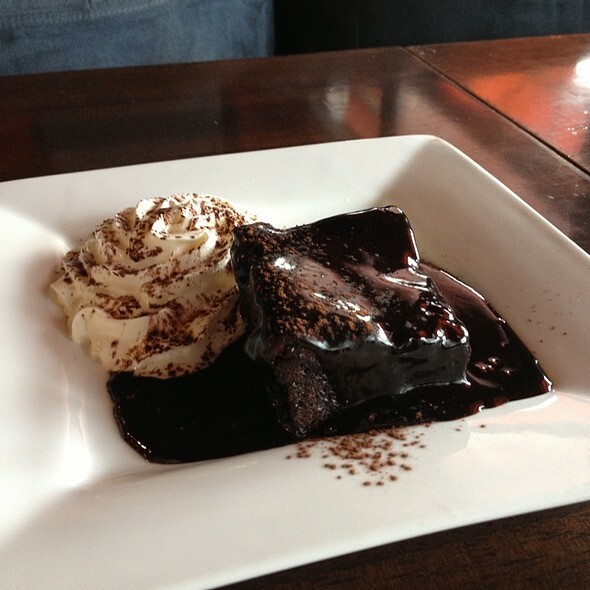 Perfect for the sweet tooth! R.G Aiskrim Bergula Apong is pork-free. Good ol' classic fish & chips FTW! 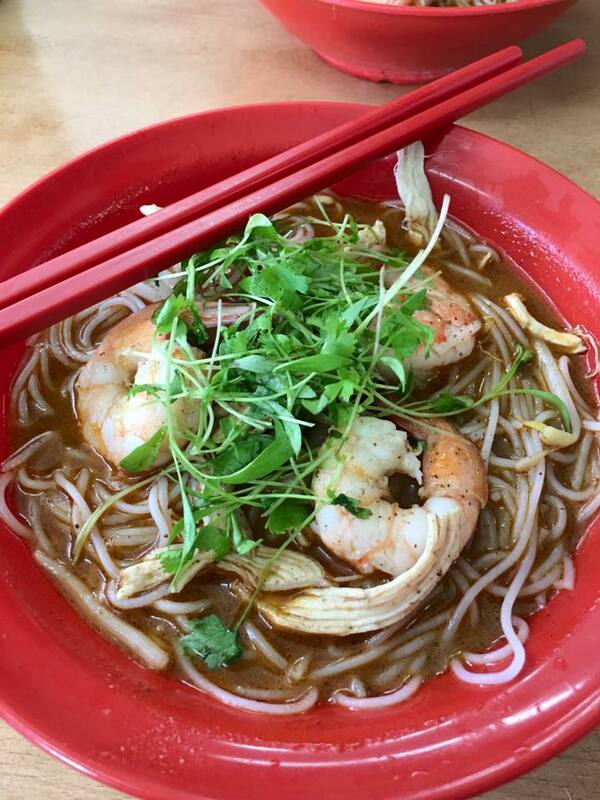 Penang prawn mee, creamy butter squid and more!